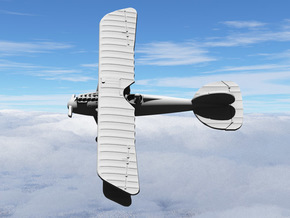 Deutsche Flugzeug Werke (D.F.W.) 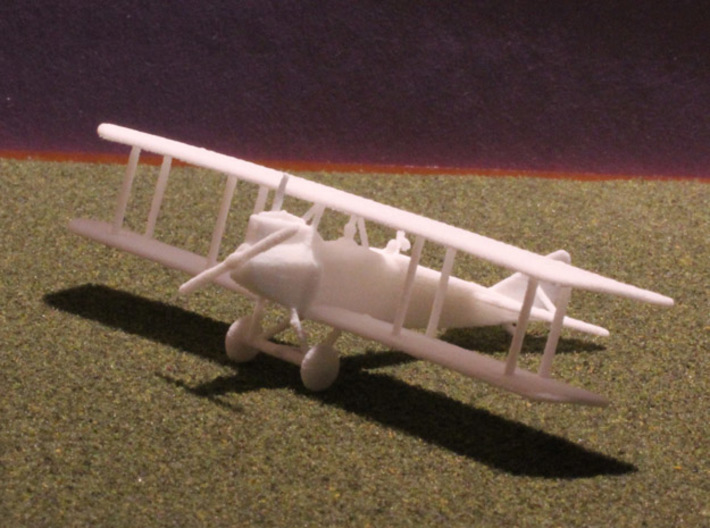 produced many plane types during WWI, but their big success was the C.V. 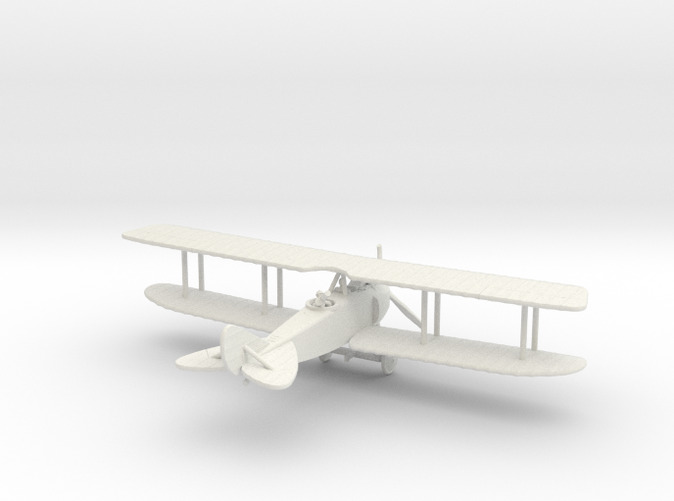 In fact, it became the most numerous German reconnaissance plane of the entire war, with over one thousand them on active inventory in August 1917. It started into active service in Sept. or early October 1916, and it wasn't exceeded in quality until mid-1918 when the L.V.G. 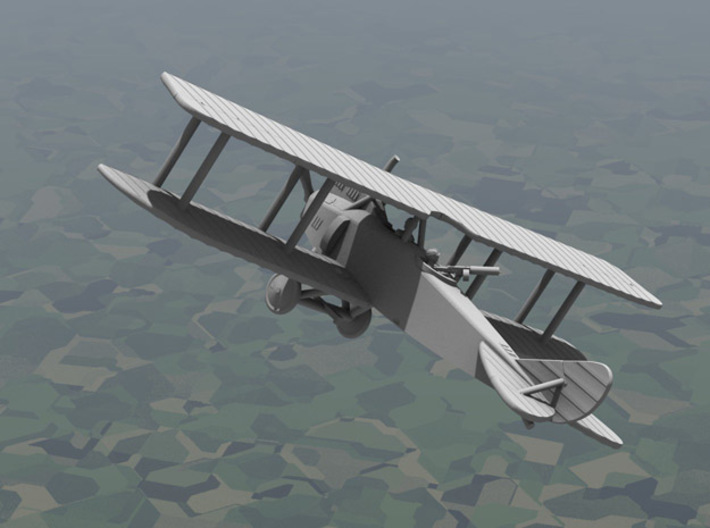 C.VI and Halberstadt C.V began to appear. 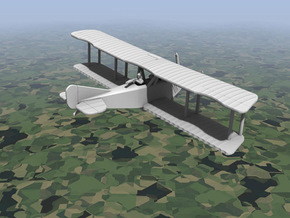 As well as D.F.W., it was produced by LVG, Aviatik, and Halberstadt. 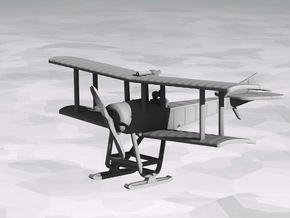 It was universally praised, both for its flight characteristics and its roomy cockpit. Nearly four thousand of them were built. 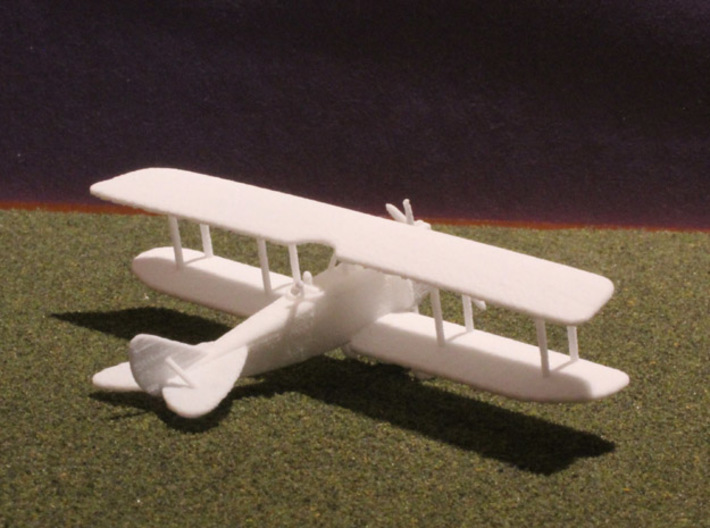 Two models are available from Reduced Aircraft Factory. This early-production model includes a full engine cowl, ear-style radiators, swept exhaust, and a claw brake. The late-production model removes the engine cowl, replaces the ear-radiator with a central one, adds a wide-pipe exhaust, and adds a spinner. Both models come with crew. The 1:285/6mm/1:288 scale product includes both types (two aeroplanes) and uses translucent, detachable propeller disks. They are joined by disposable links to keep the price down, since single-part models are more affordable. You can break the links with nail clippers, wire cutters, or similar. 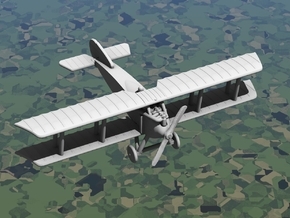 If you were restricted to owning only one WWI German two-seater, the DFW C.V should probably be the one.